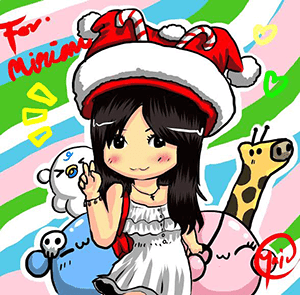 Hello my dear merry goers. 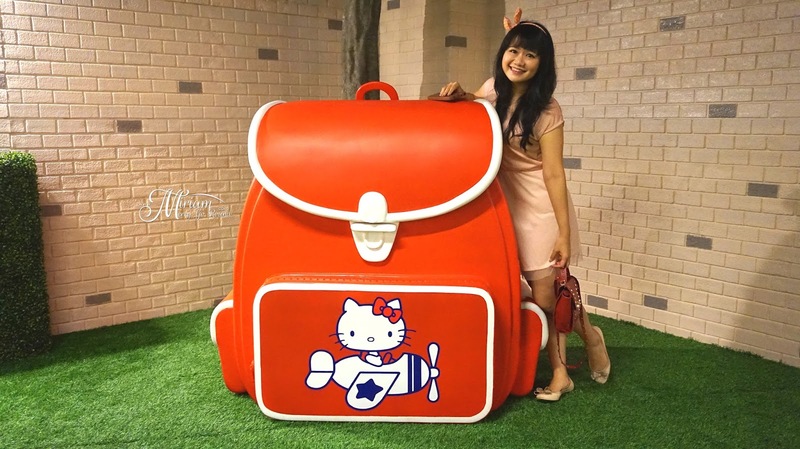 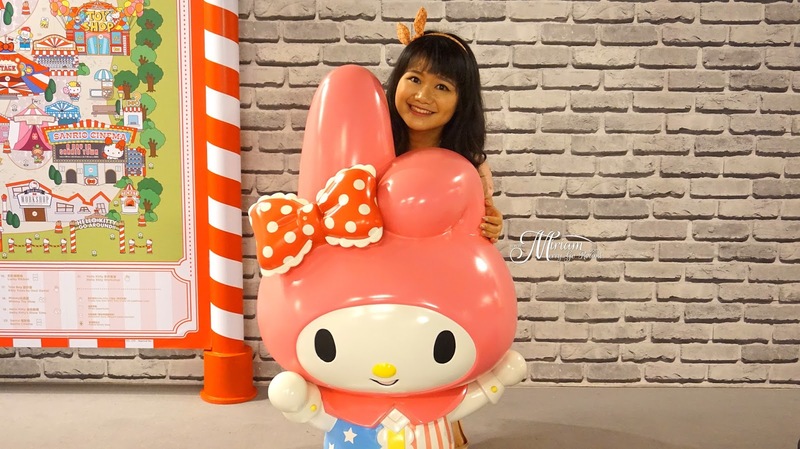 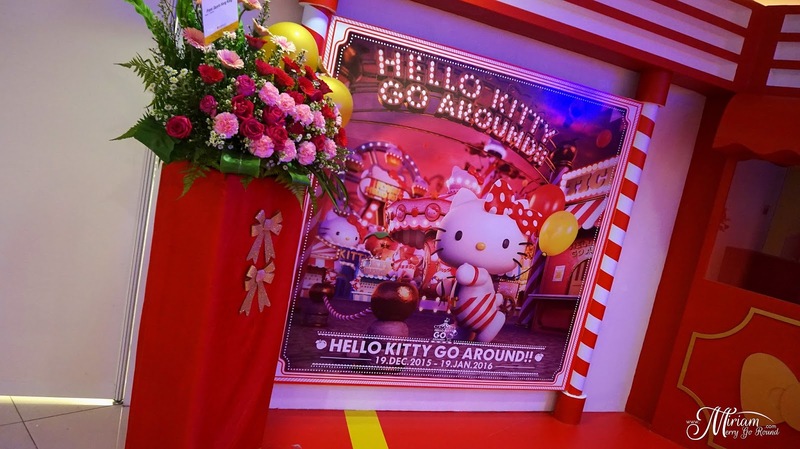 Based on my introductory photo it is obvious what my latest post is about which is Hello Kitty Go Around in Malaysia held at VIVA Home Expo Hall from 19 December 2015 until 19 January 2016. 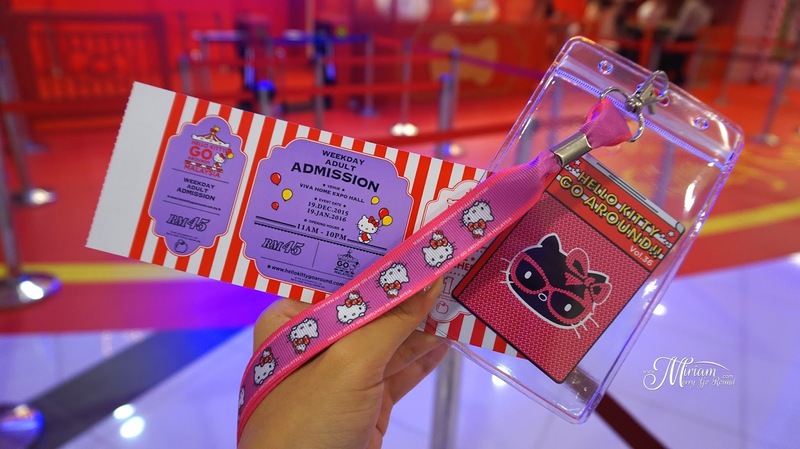 Hello Kitty fans would have surely bought their tickets from the start just like my crazy fan sister who bought it way back in June! 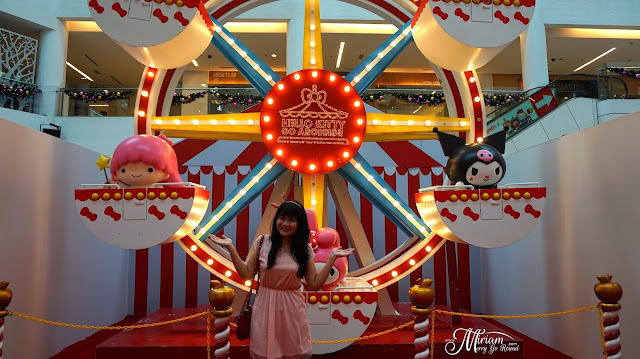 Since I was back during Christmas, I decided to bring my mum along as well as being my sister's personal photographer for that day and well just have a nice family day out. 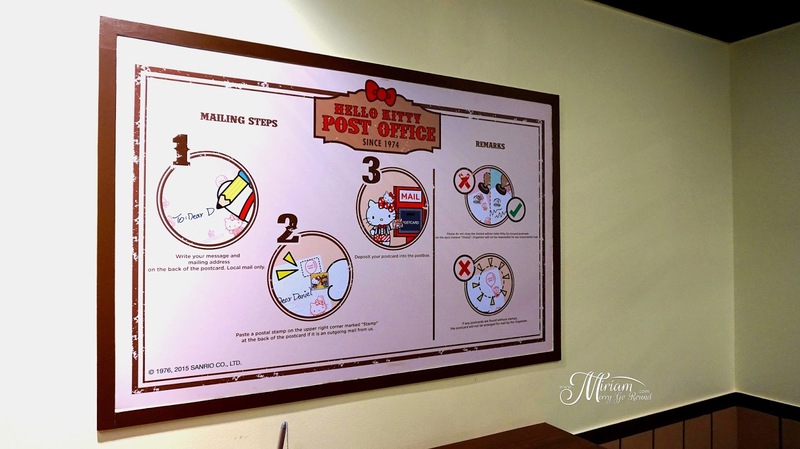 Here's some sneak peaks to what you can expect at the exhibition as well as some tips! 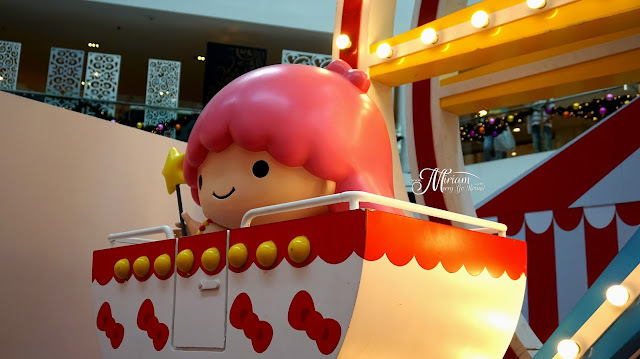 It was actually my first time to VIVA Home so for those who haven't been there before as well, the parking at VIVA Home is divided to the Hotel section as well as the Mall section. 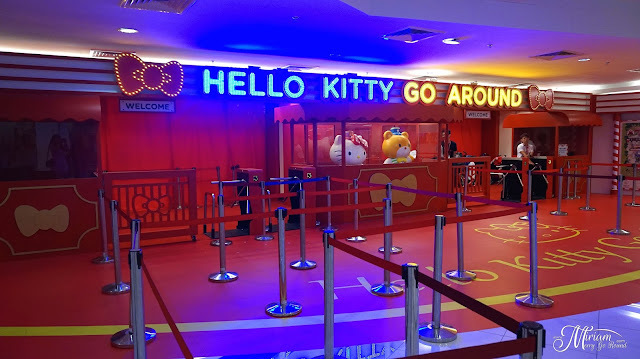 Park at the Mall section and you just have to take the elevator to the 2nd Floor and be welcomed with a super huge entrance. You will surely not miss the entrance! For those who have bought their tickets online, make sure you redeem your passes at the booth located near the entrance. For each ticket, you will receive the Admission pass as well as the Limited Edition HKGA Lanyard which obviously my sister loves plus a special HKGA collector cards. 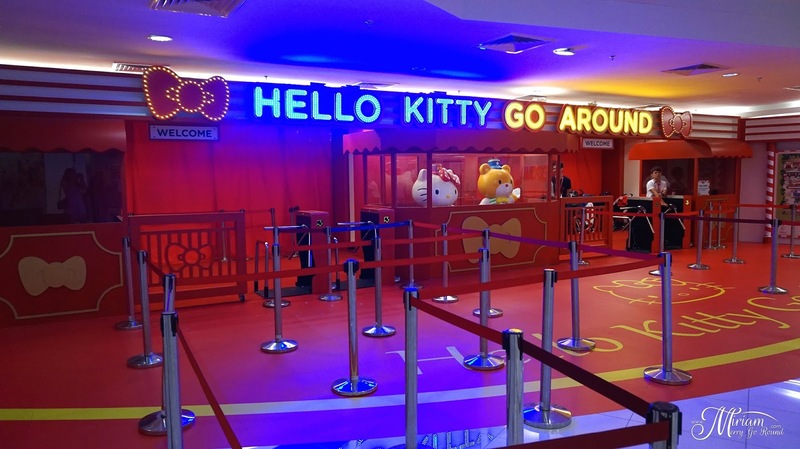 For each ticket, you get Two (2) GAME VOUCHERS where I will tell you which games you should try and what you should spend it on. Once you enter the Exhibition Hall, you will be greeted by Hello Kitty Merry Go Round! 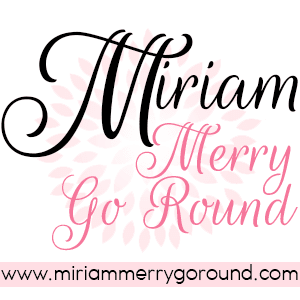 Like my sister say, Miriam Merry Go Round is now at Hello Kitty Go Around. 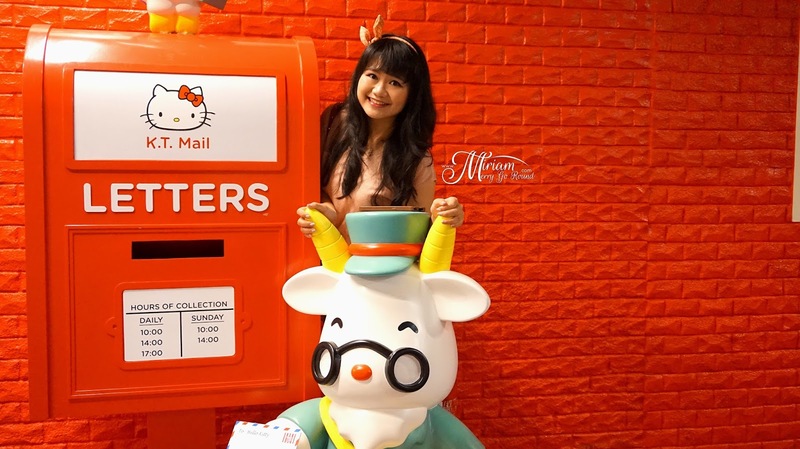 *rofl* This is actually a backdrop for you to snap a photo with the special edition photo frame which you can get for RM25. 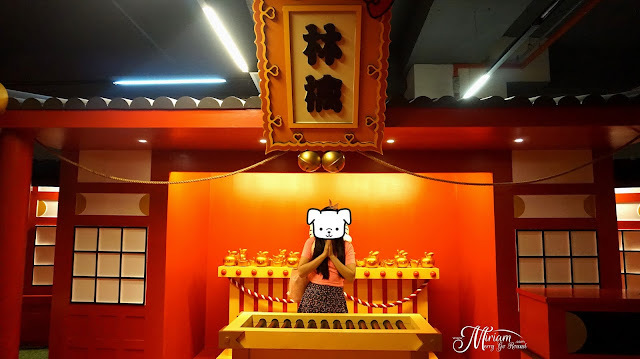 And unfortunately no you are not allowed to use your own camera to snap your own photos which well kind of irk me because it's rather ridiculous to limit those who have paid to visit this exhibition. 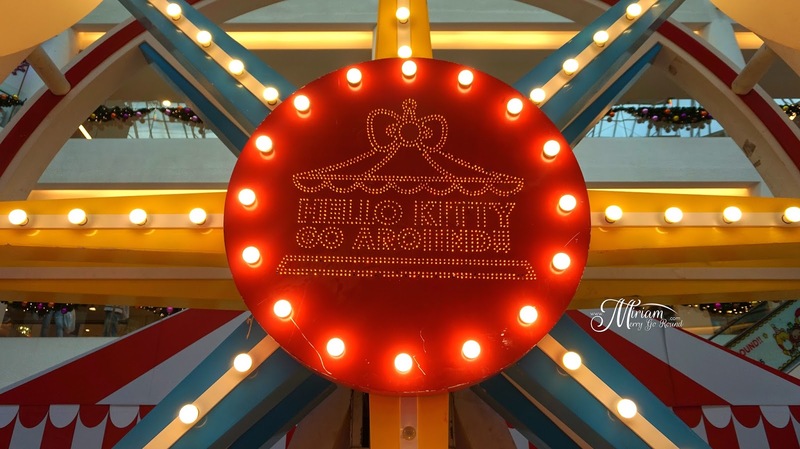 So here are some of the places that you can snap tons of photos at Hello Kitty Go Around in Malaysia Exhibition. 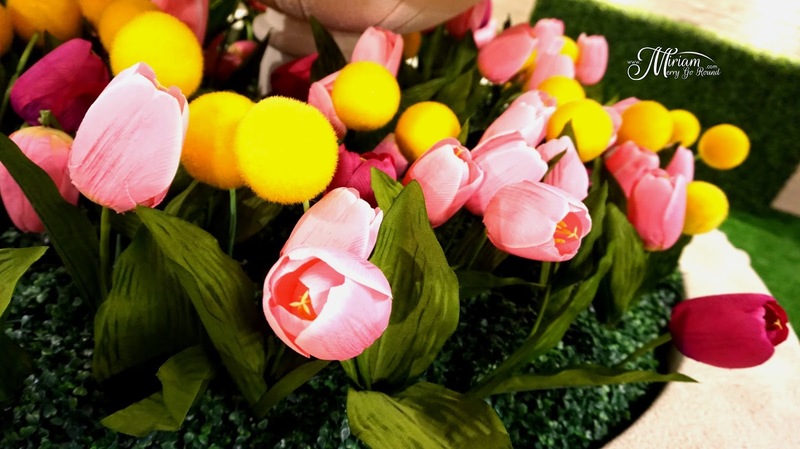 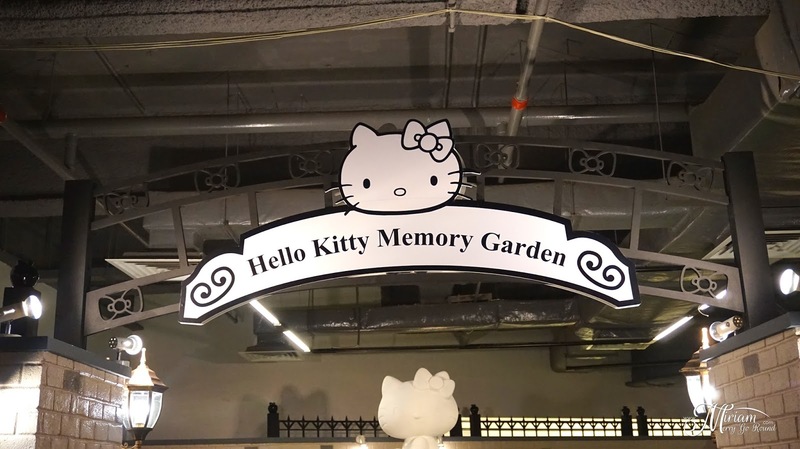 Anyway, moving on you will first see the Hello Kitty Memory Garden which I must say they did a great job in replicating an indoor garden with fake grass, trees and flowers which looked really realistic. 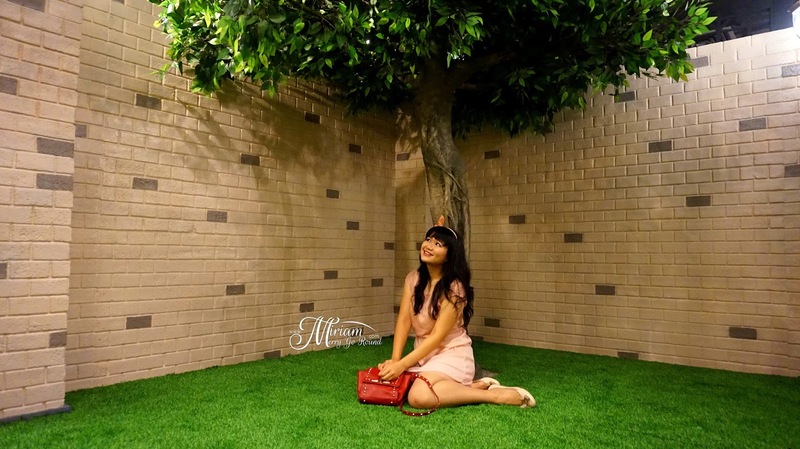 Take note, although both of us look rather comfortable sitting on the grass and taking photos the grass is really prickly so girls if you are wearing skirts, don't say I didn't warn you. 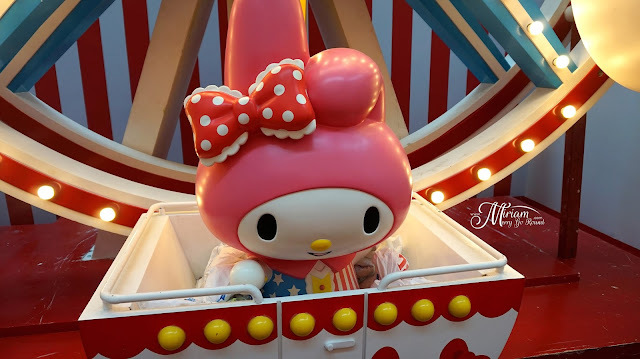 But I must say that the overall layout of the Hello Kitty Memory Garden was really nice to take tons of photos. Trust me when I said tons of photos! 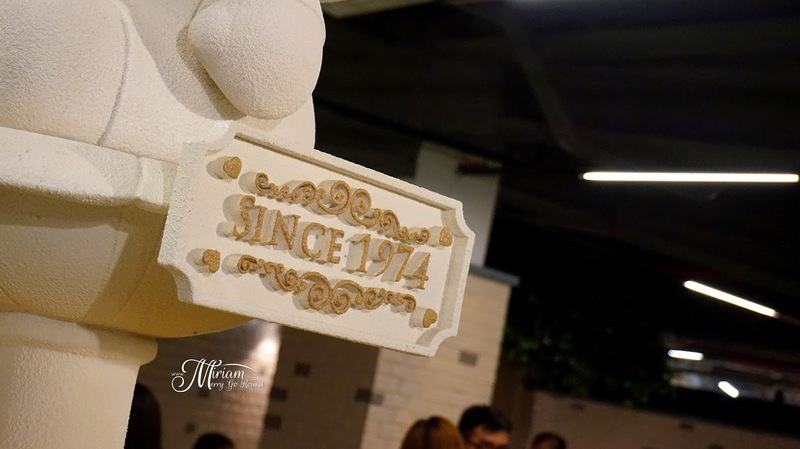 The photos here are just some of the many photos that I took that day. 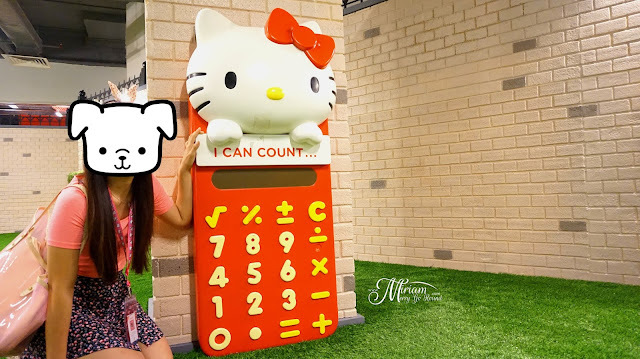 There are also some huge stationary like a gigantic calculator, school bag and stamps! 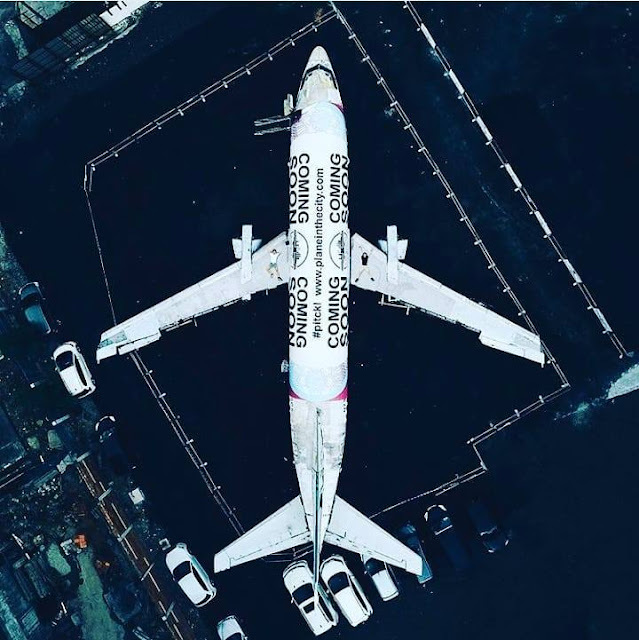 So just go creative and snap more photos. Moving on, let's say bye to the Hello Kitty Memory Garden and to the Hello Kitty Cafe where you can get some food to eat. 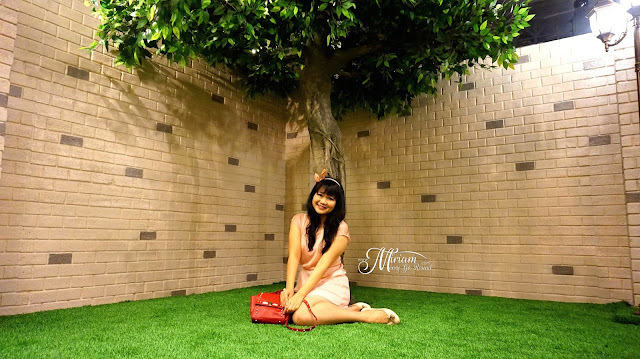 There are some garden tables and stools which really gave it a nice garden cafe feel and there are more tables inside. Note: That bush is super prickly so be ready to smile, snap and jump right off if you are wearing skirts. 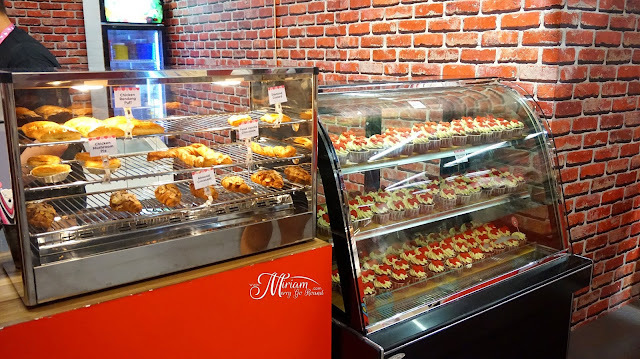 If you are hungry, you can get some cute cupcakes, pastries and drinks to fill your tummy. 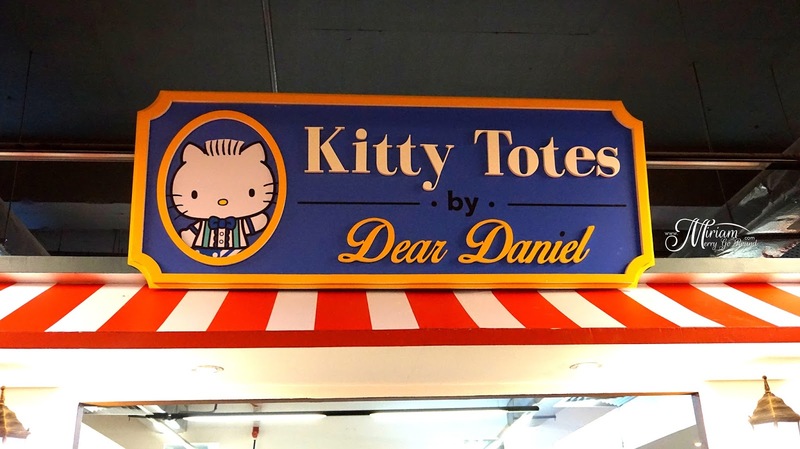 They don't really sell heavy meals so it is just some light meals. 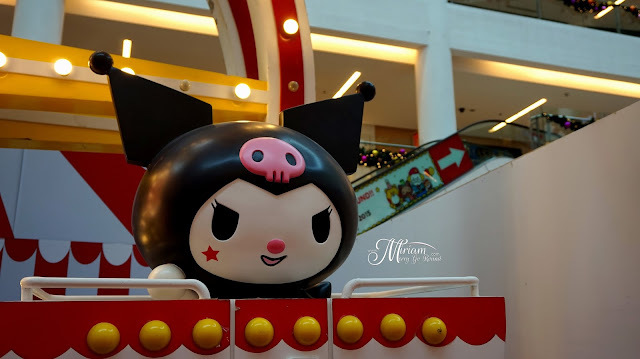 The Hello Kitty Fashion Catcher is definitely one of the place that Hello Kitty fans will go crazy because it is loaded with tons of Hello Kitty plushies! 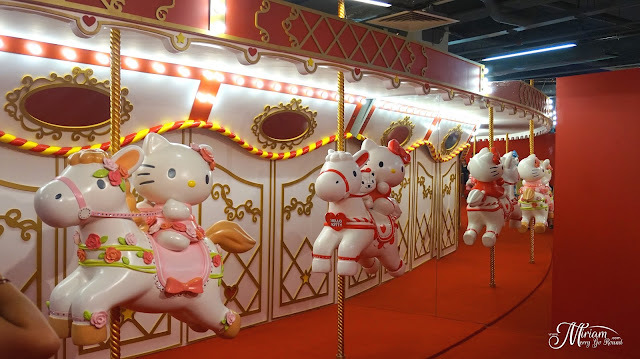 The concept is those claw machines and you can actually crawl in a hole at the side and snap photos from inside the booth. 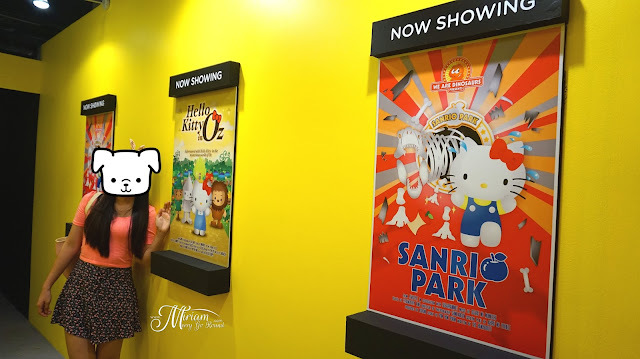 There are not much in the Sanrio Cinema but some sculptures and there is a stage area nearby the cinema which has performances and Hello Kitty appearance which only happens on weekends. 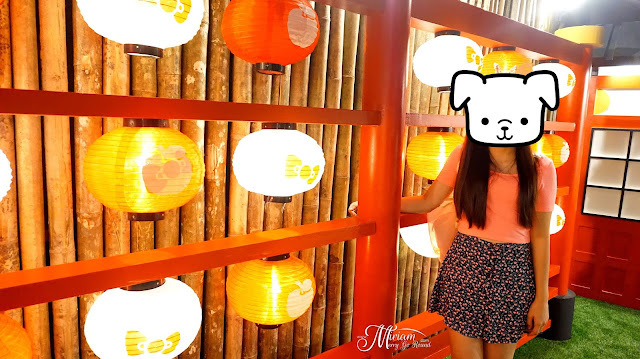 Since we went on a weekday so it was just an empty stage. 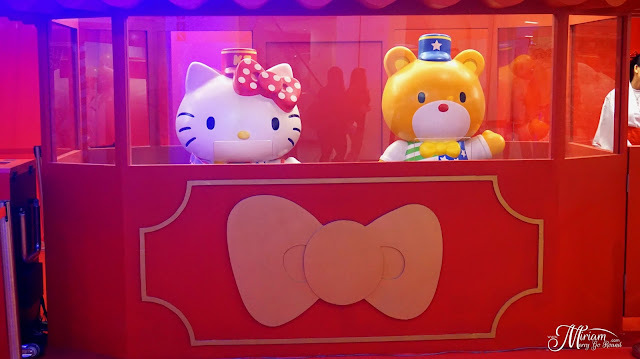 Besides only Hello Kitty statues, there is also a Sanrio Friends Express Train and don't get your hopes to high because it is just a display exhibition and not a ride around the exhibition. 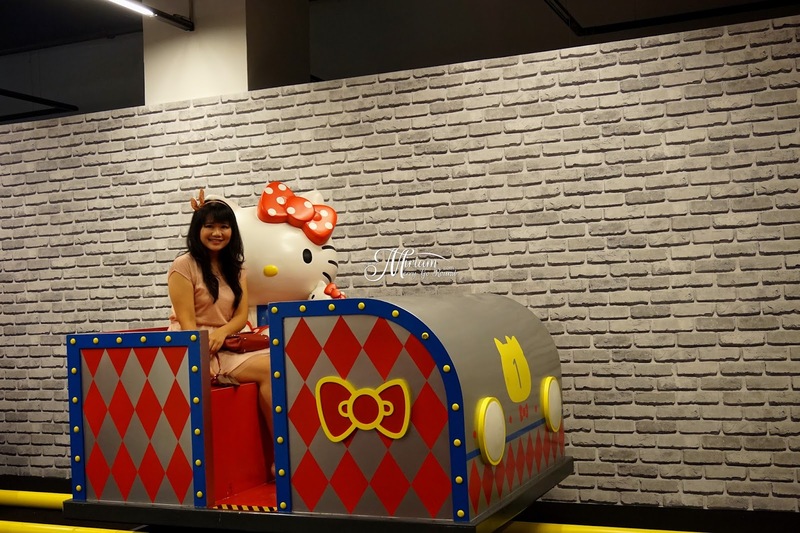 There are many people crowding to take photo on the train so you may have to queue a while. 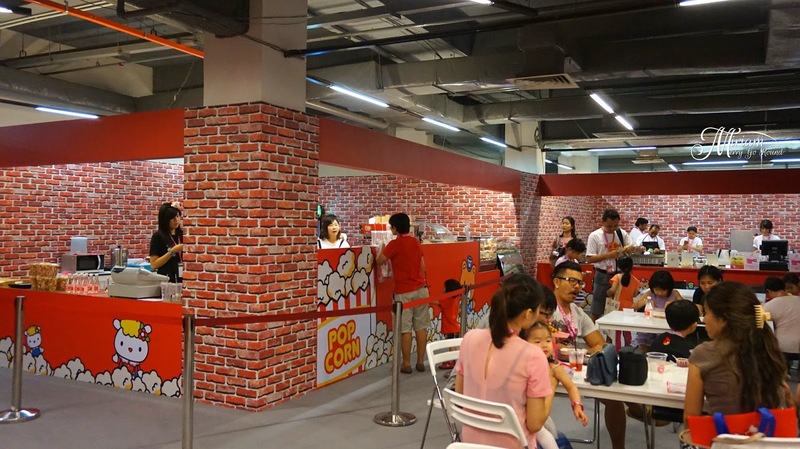 So there are several places you can spend your game vouchers and if you are great at games, you can try your luck at the Games Corners. 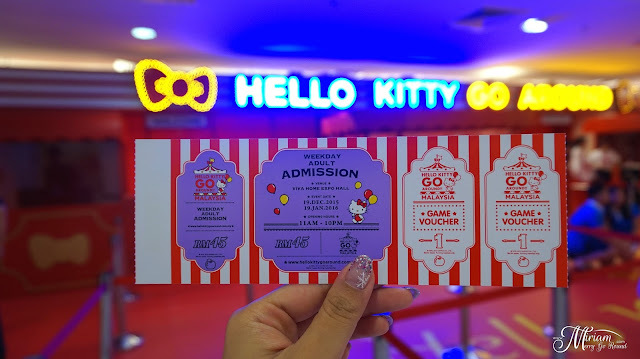 Each gaming voucher can be purchased at RM 12.50 and there is also a COMBO PACKAGE where you can BUY 5 VOUCHERS for RM 50 and get FOUR (4) Hello Kitty Limited Edition Cards. There are several games where you can try your luck. 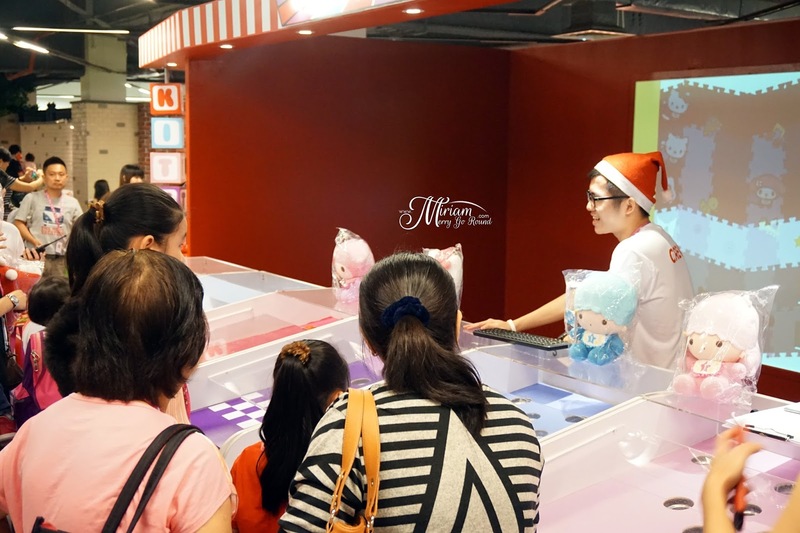 It's a lot like fun fair games where you can win some Hello Kitty plushie or goodies. 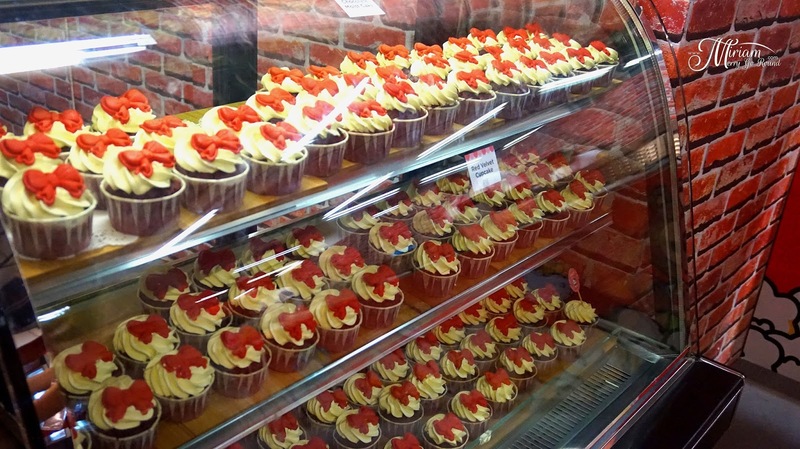 But I must warn you that they are rather difficult to win but if you have the skills go ahead! 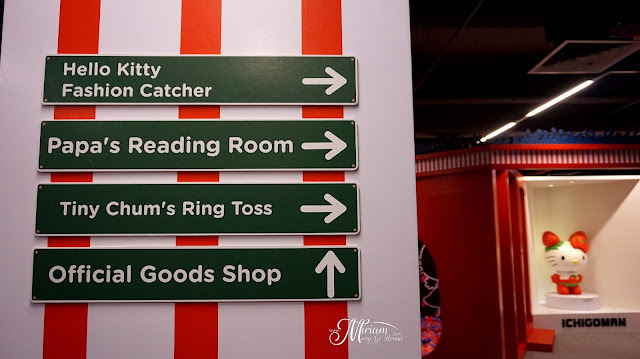 Meanwhile for those who well do not want to test their luck, here are some places I would recommend you spend your game vouchers. 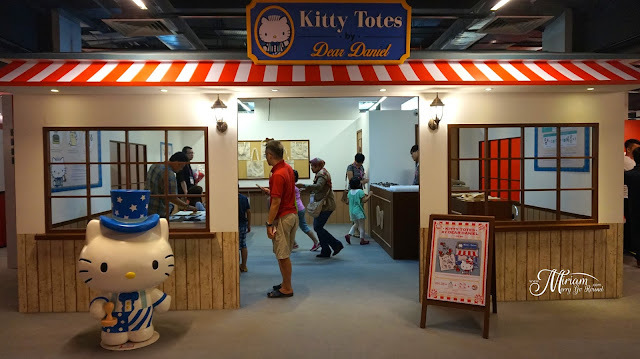 This are guaranteed souvenirs you can bring back home so I do recommend it. 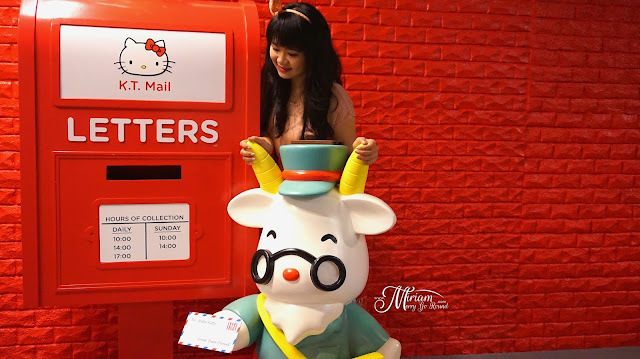 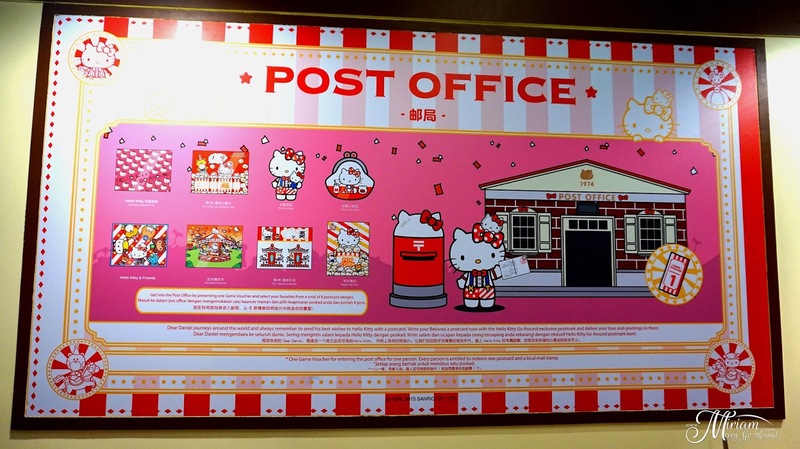 Firstly, you can use it at the Post Office where you can redeem a postcard and a cute stamp where you can actually mail it back to your home address or just bring it home on that day. 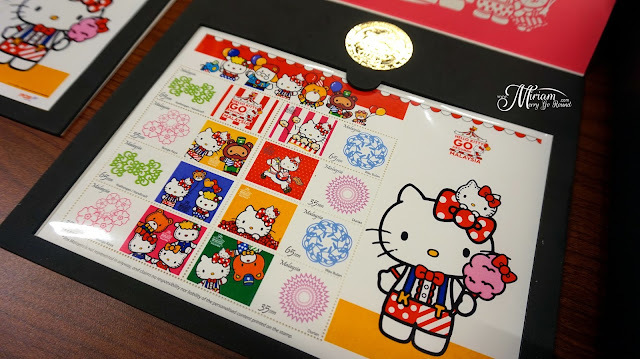 The stamps and postcards are really cute and they are special edition for this Hello Kitty Go Around Malaysia so it would be a nice souvenir to bring back home. 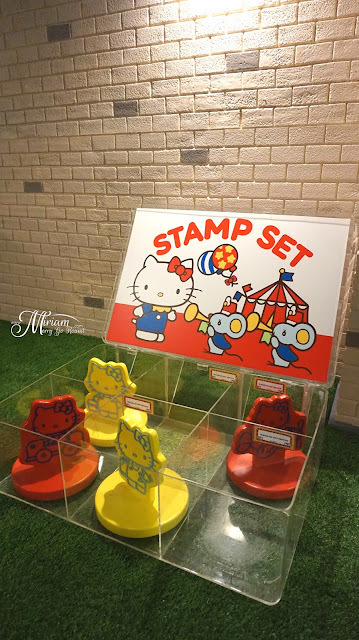 The Apple Temple is another place you can use your game voucher where you can redeem a Hello Kitty coin to make a wish and get a Hello Kitty Apple Board where you can actually write your wish and hang it at the board or just bring it home. 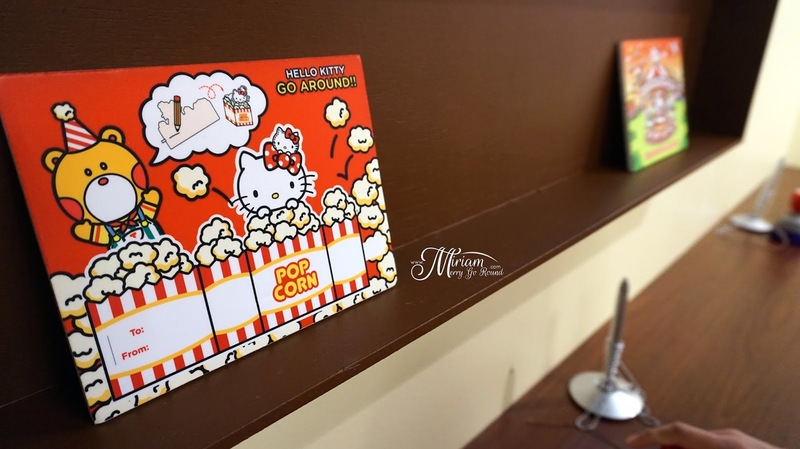 Besides that, if you do not want to waste your game vouchers, you can opt to use them to print a 4R photo on their special Hello Kitty frame. 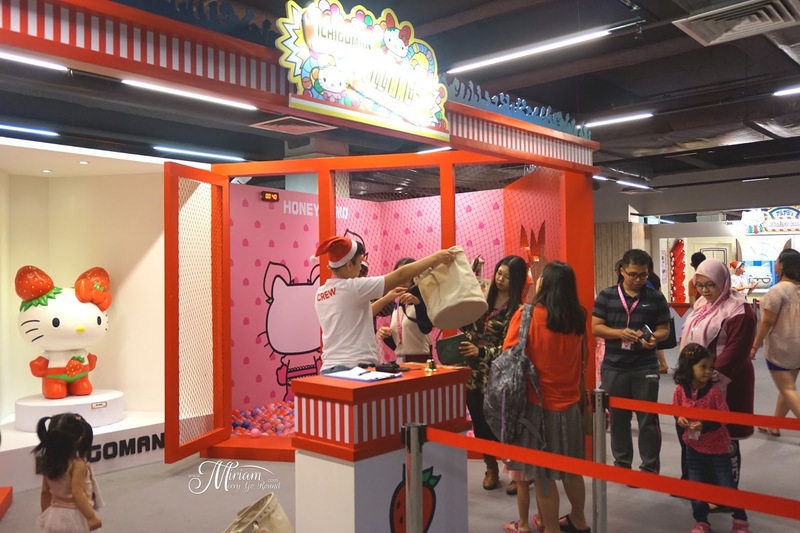 You can choose to take photo with this backdrop or even choose any photo that you have taken in the exhibition and transfer it to the Intax printer to print it. 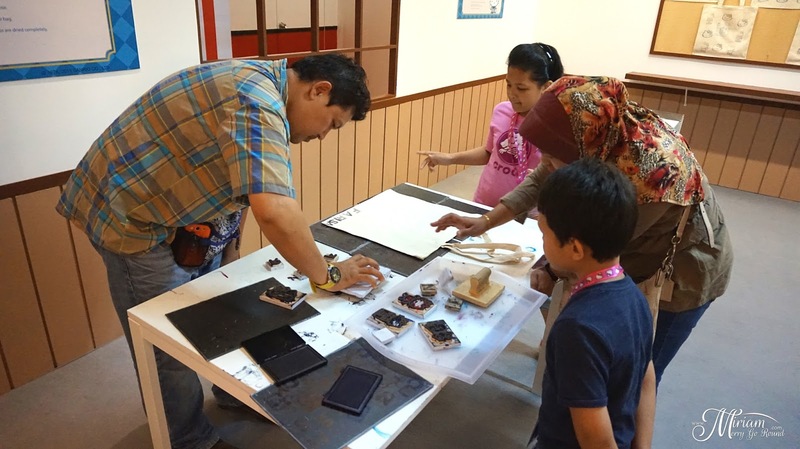 Besides just exhibitions and game booths, there are two WORKSHOPS that you can try your hand on. Dear Daniel Kitty Totes shop is another place where you can also get more souvenirs to bring home. 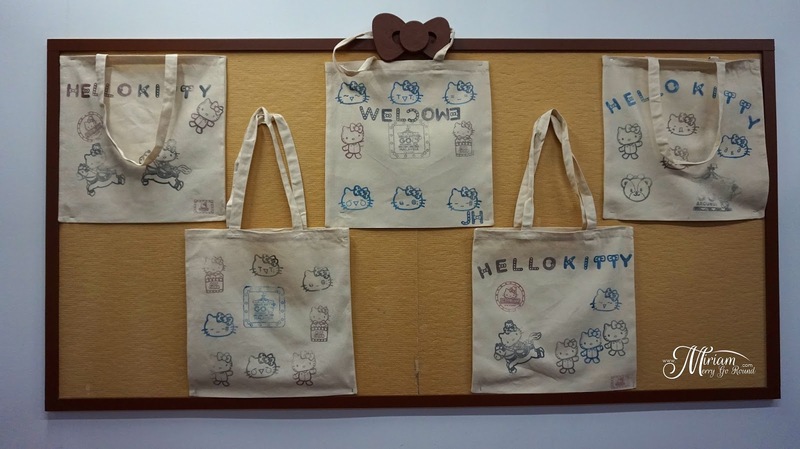 For RM 28, you will receive a plain tote bag, FOUR stamps to decorate your bag and a Hello Kitty Badge. 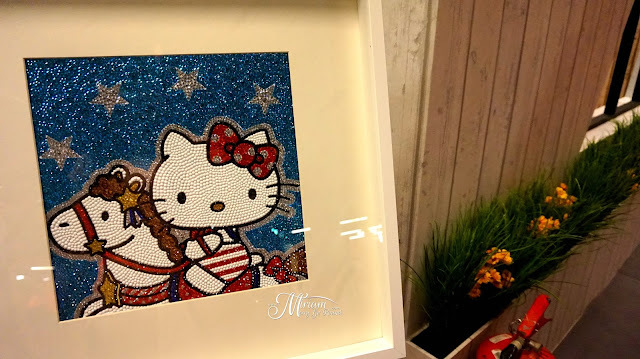 You can purchase a 5D Hello Kitty Artwork and bedazzle it to bring home and frame. Each artwork ranges from RM90 to RM100 depending on the design. 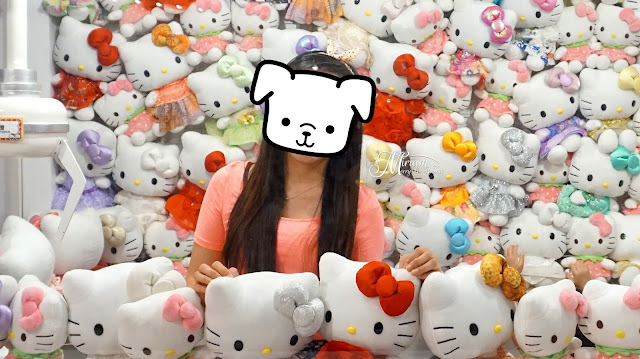 The staff in charge said you would most probably use 3 days to finish sticking each and every stud. 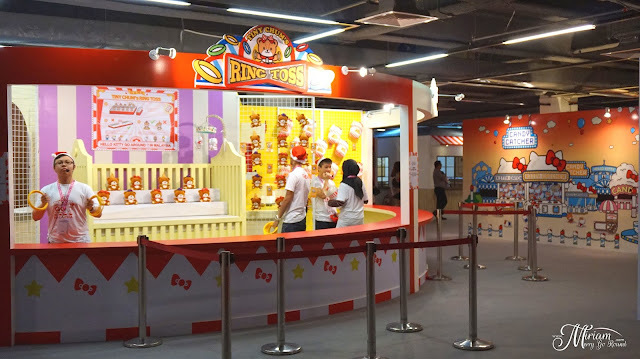 Before you leave, don't forget to check out the huge HKGA Ferris Wheel at the Ground Floor of Viva Home. 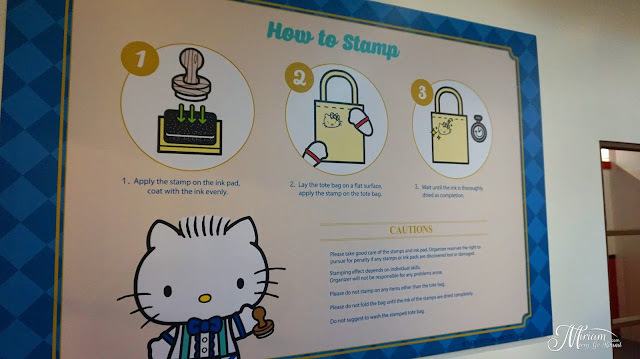 You are also required to show your tickets before being able to enter the area so make sure you keep your tickets properly. 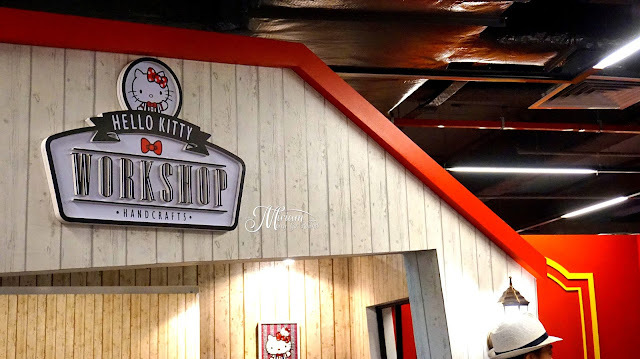 There are some Hello Kitty furniture on sale at the Ground Floor as well. 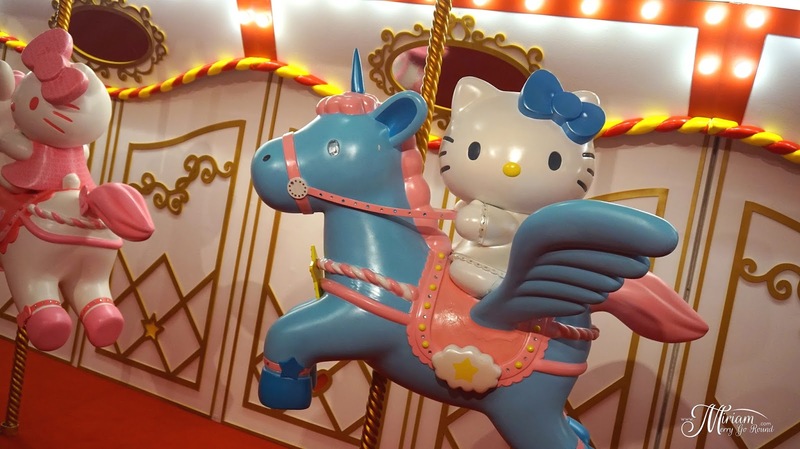 Overall, if you would ask me if it is worth it to actually visit this exhibition I would say Hello Kitty fans would absolutely die at this exhibition with each of the decor so if you are with a Hello Kitty fan, be prepared to take tons of photos. 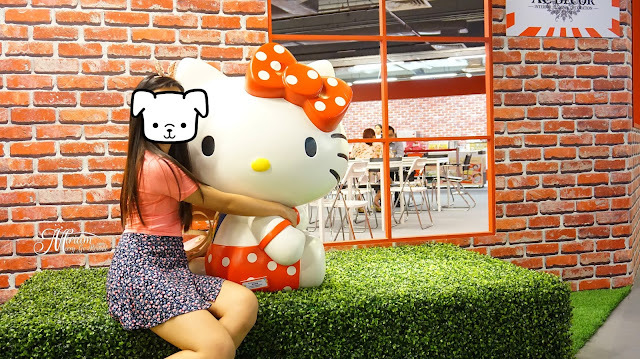 I practically had my sister dragging me around for photos! 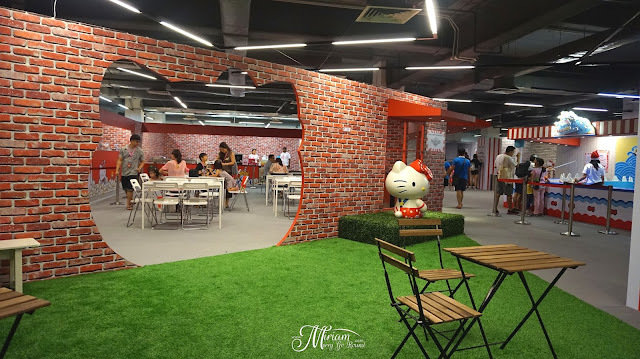 It would be a great place for guys to bring their girlfriend/wife if they are a fan of Hello Kitty and there are tons of place to take photos and make memories. 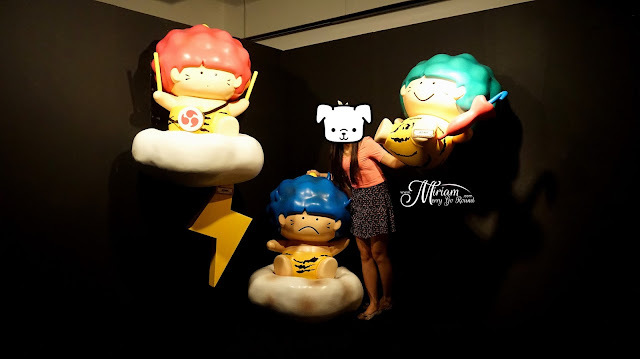 Charge your camera or phones because you will be taking tons of photos! 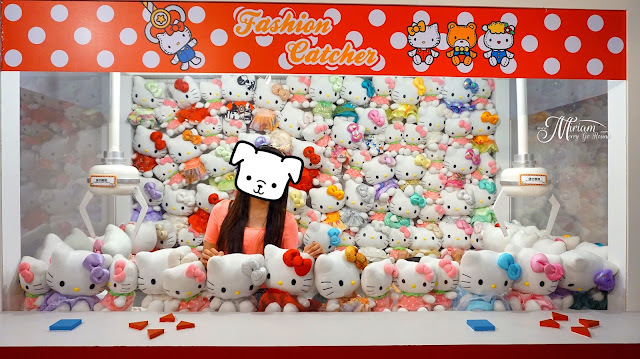 Although I really wouldn't recommend you to spend money on the games because honestly your chances are really slim. Roughly 1 out of 10 people who play the games actually win so GOOD LUCK if you plan to play the games. For those who want to try all the games remember their COMBO PACKAGE. 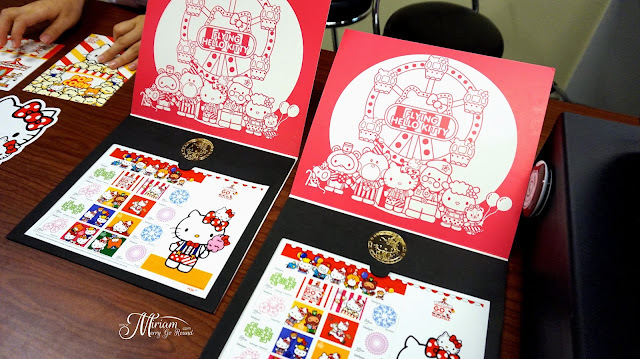 BUY 5 VOUCHERS for RM 50 and get FOUR (4) Hello Kitty Limited Edition Cards.